This tutorial explains how to generate a CSR code in DirectAdmin, and how to install an SSL Certificate on DirectAdmin servers. 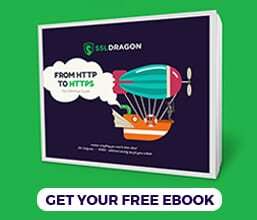 After you complete the SSL configuration, stay tuned for a brief history of DirectAdmin control panel, as well as practical tips on where to buy the best SSL certificate for DirectAdmin. Where to buy an SSL Certificate for DirectAdmin? DirectAdmin will now generate the CSR code and your private key. Save the CSR code including the —–BEGIN CERTIFICATE REQUEST—– and —–END CERTIFICATE REQUEST—– header and footer using a text editor such as Notepad. You will send it to the Certificate Authority, and they will sign your certificate. As for the private key, you’ll need it during the SSL installation. Copy it into a separate file and keep it on your server. Once you close this page, the private key will not be available anymore. Note: If you don’t see the private key, don’t worry. DirectAdmin has automatically copied it to the SSL installation page. Make sure that the SSL is enabled for this domain. A message at the top of the SSL Certificates panel will display the SSL status. If SSL is disabled, click on the You can enable it here link. Next, tick the Secure SSL checkbox, and press the Save button. Congratulations! You have successfully installed your SSL Certificate using DirectAdmin control panel. To test your SSL installation for potential errors, use these excellent SSL tools. 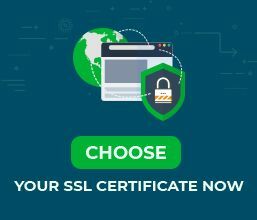 To help you choose the perfect SSL certificate, we created a couple of unique SSL tools. Our SSL Wizard takes care of your searching and recommends the best SSL deal for your online project. But there is more, the Advance Certificate Filter sorts and compares different SSL certificates by price, validation, and features to narrow down the best SSL products for you.